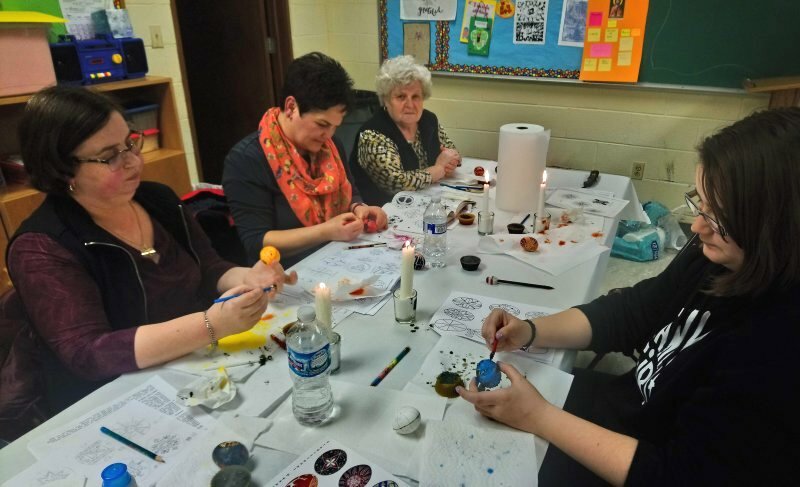 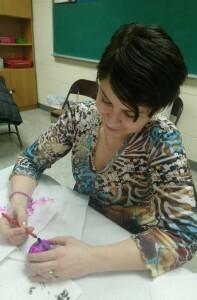 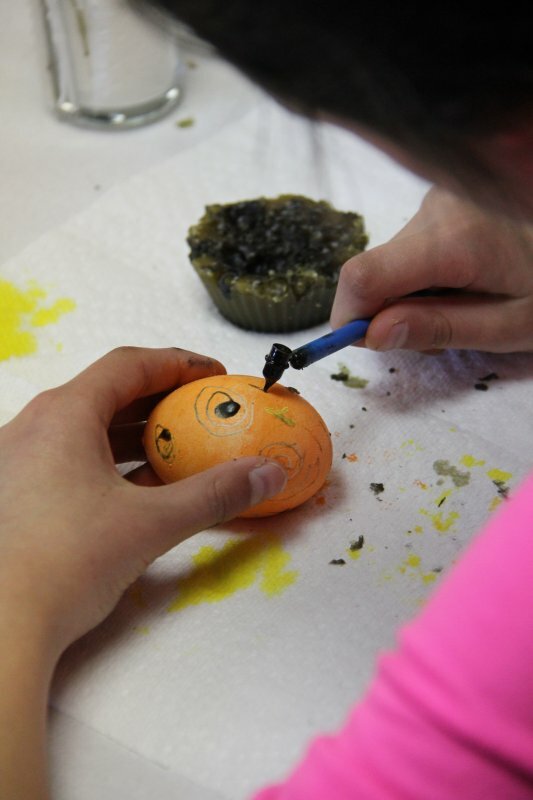 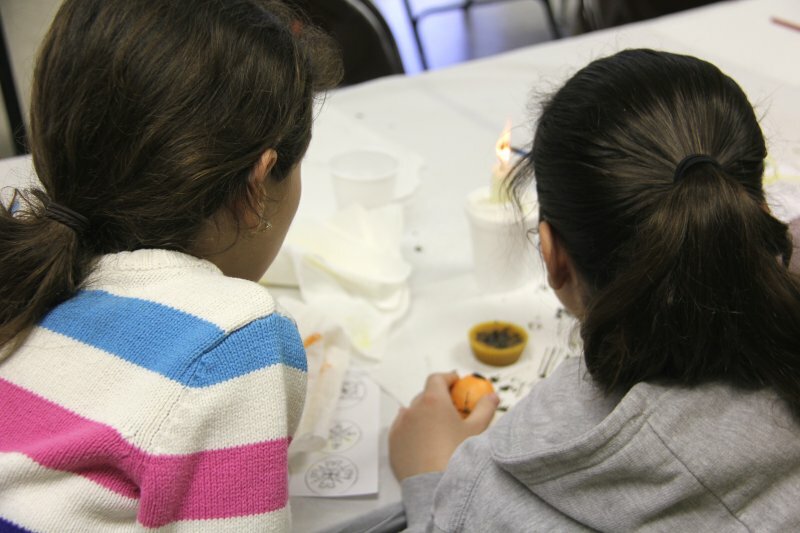 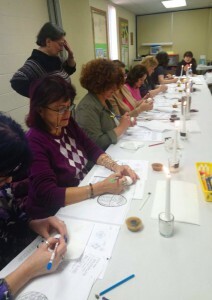 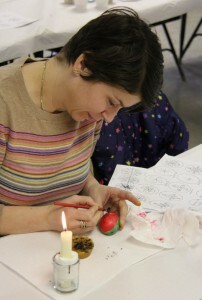 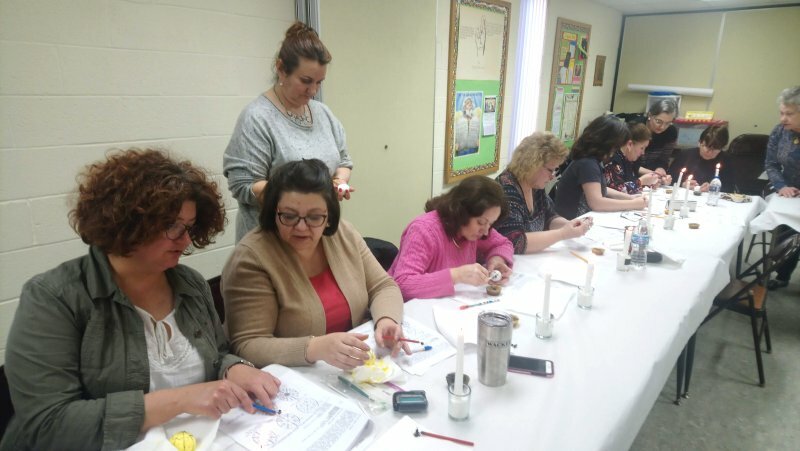 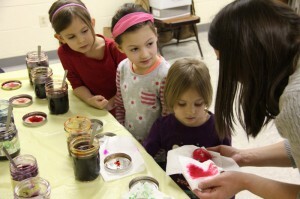 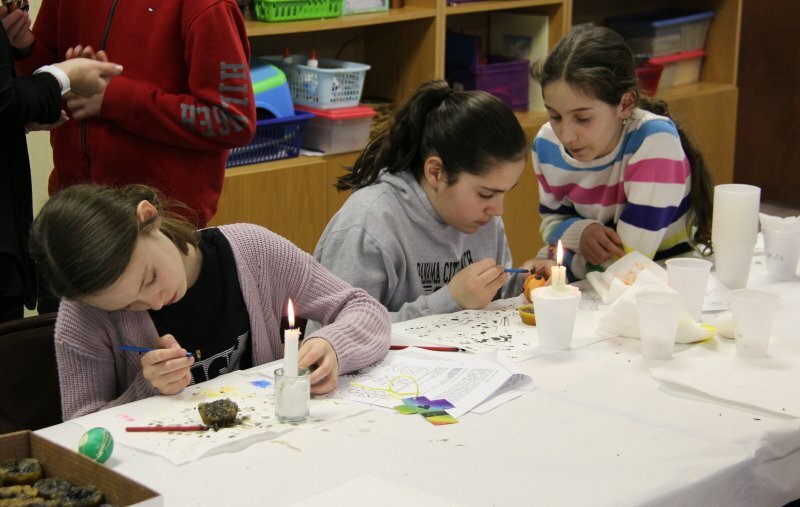 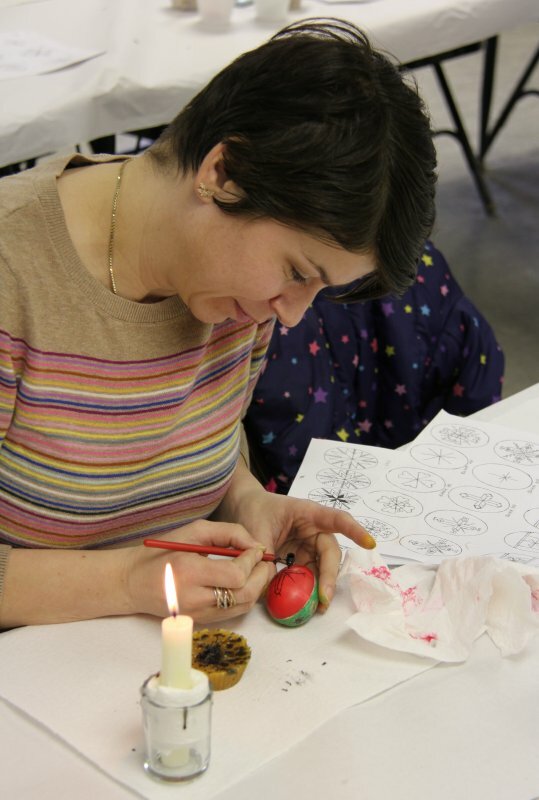 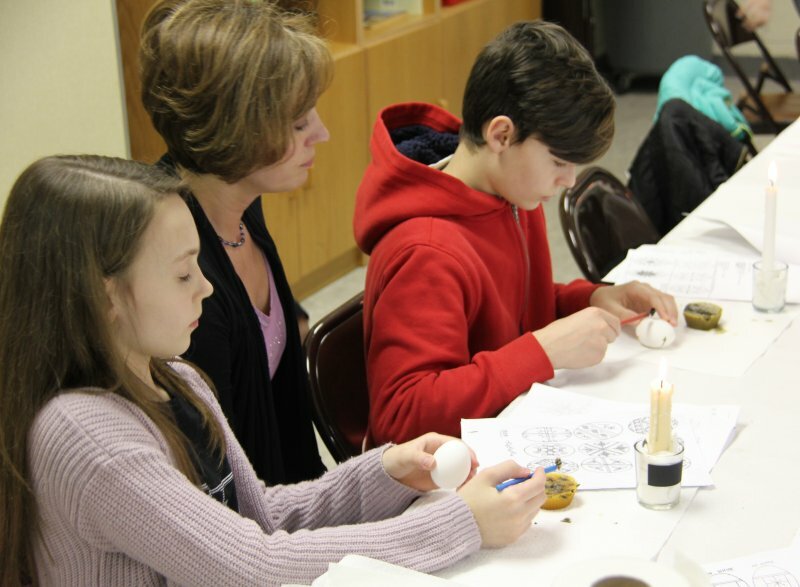 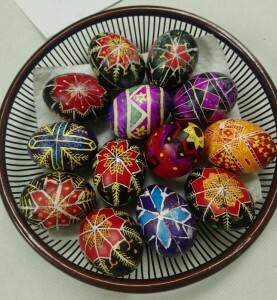 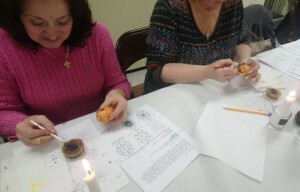 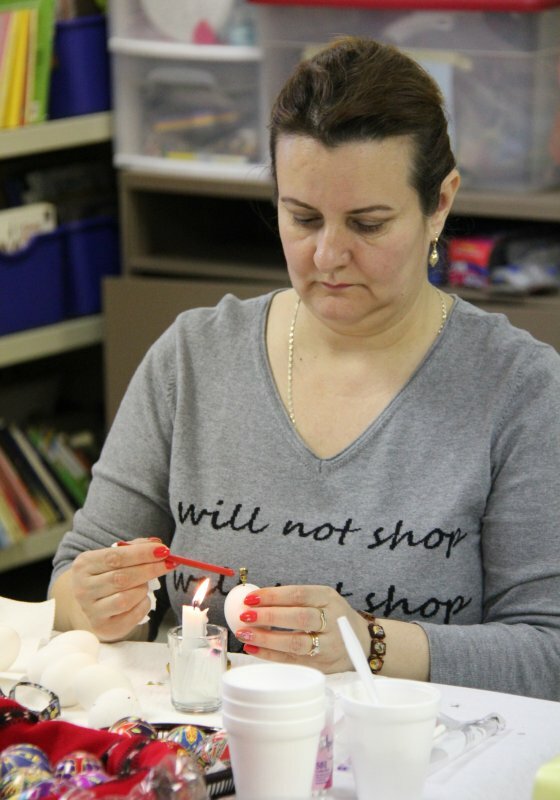 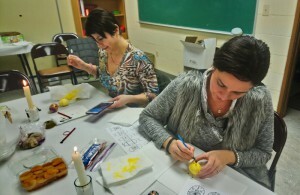 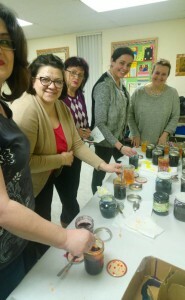 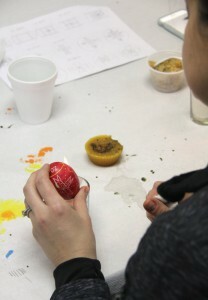 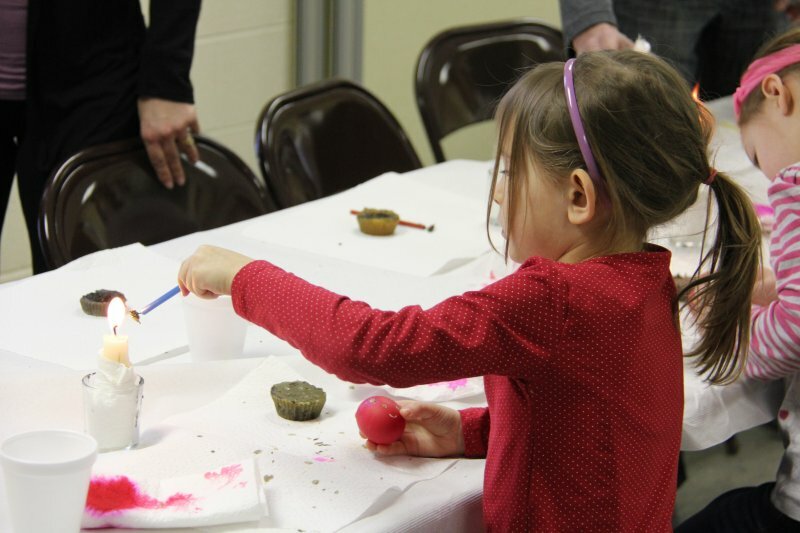 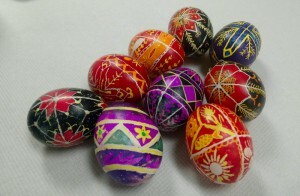 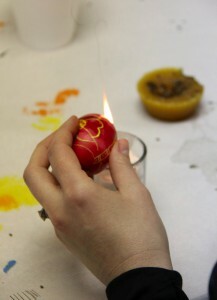 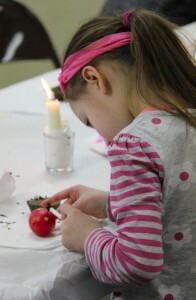 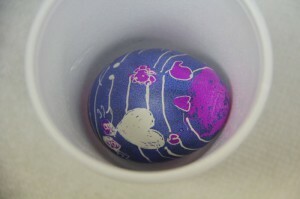 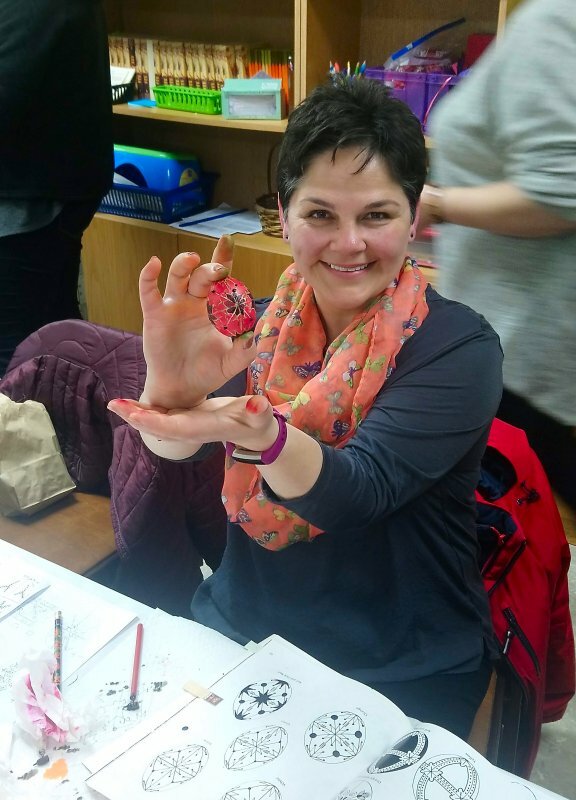 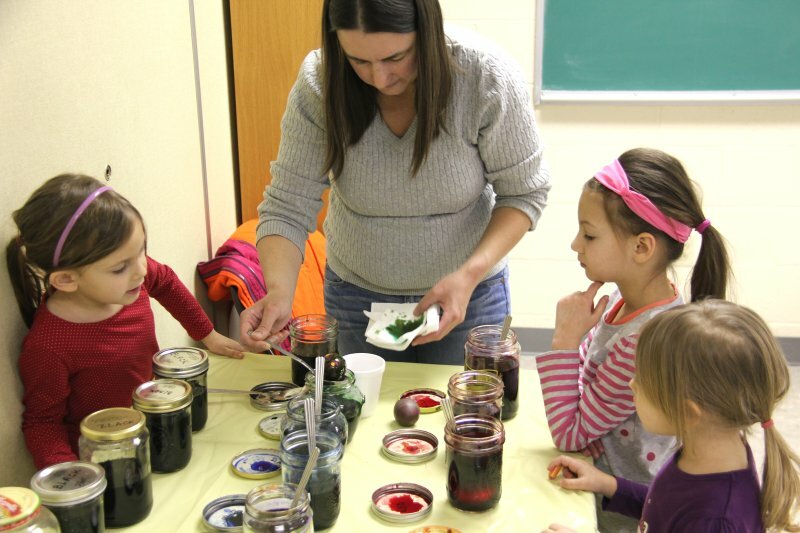 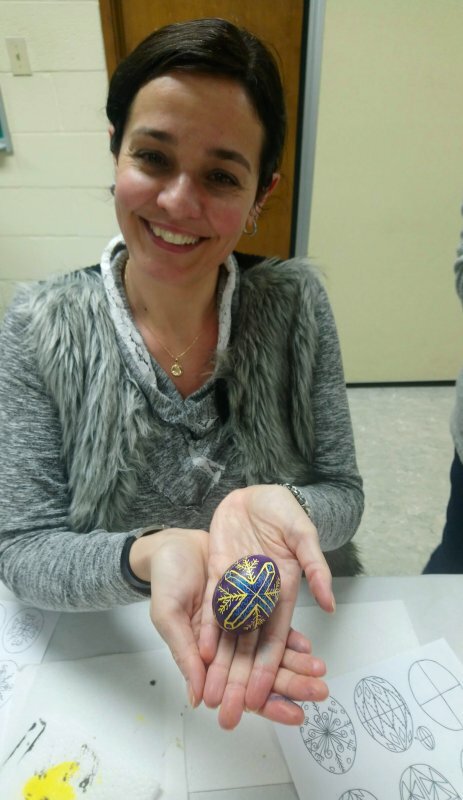 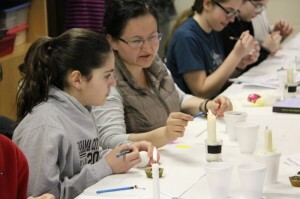 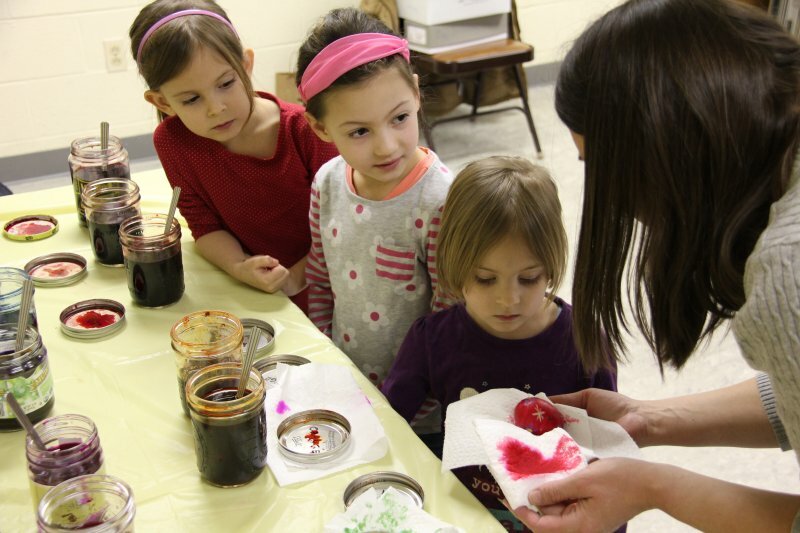 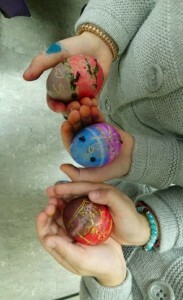 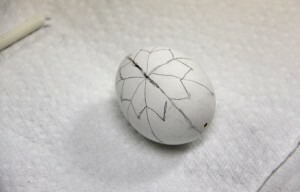 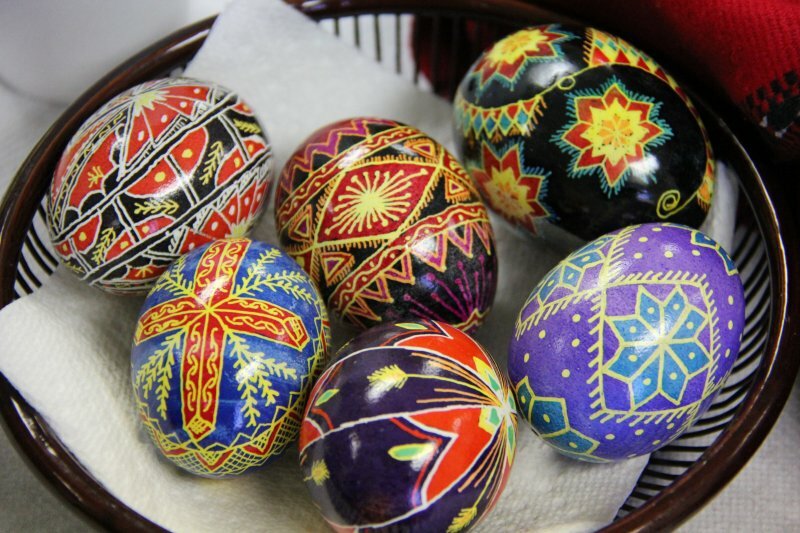 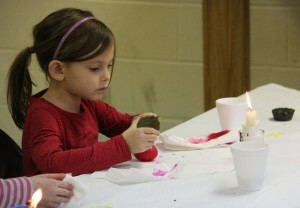 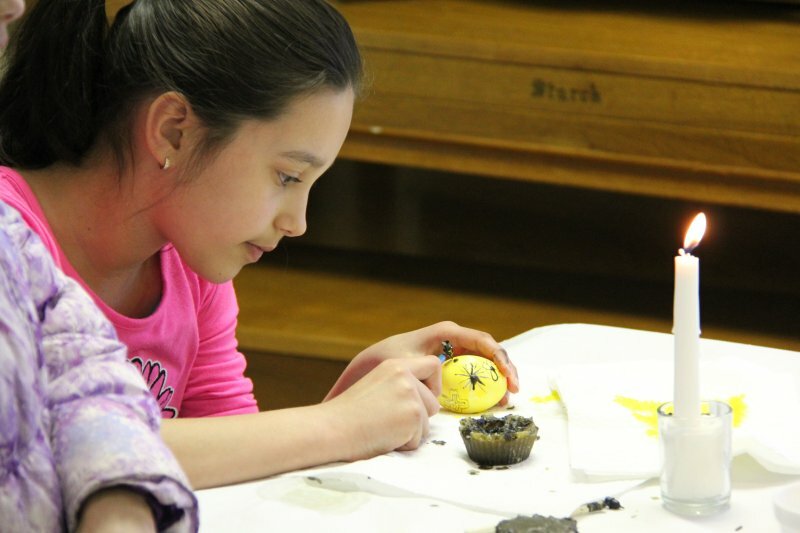 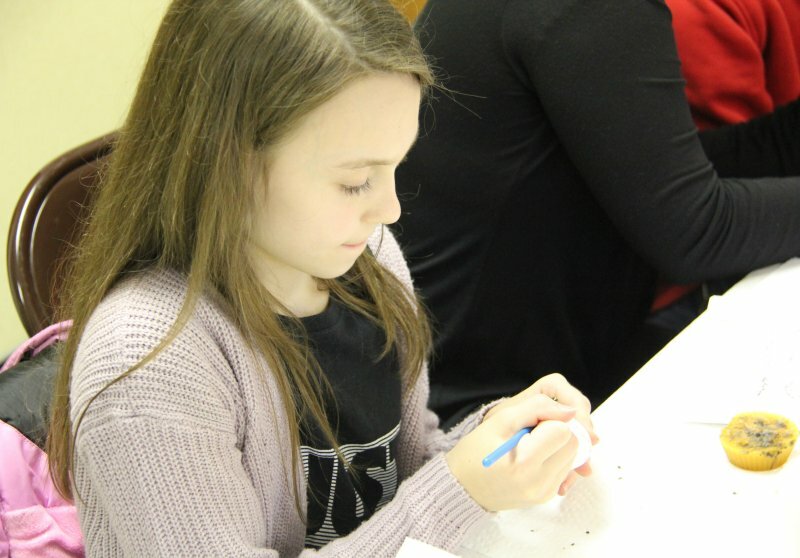 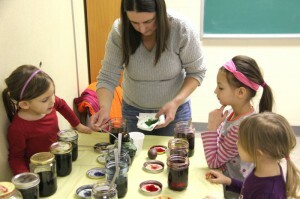 On Friday, March 22 and Saturday, March 23, 2019, our yearly tradition of learning the art of traditional egg decorating continued, again including time for adults, in addition to the children, to learn this very old Romanian cultural art form as well. 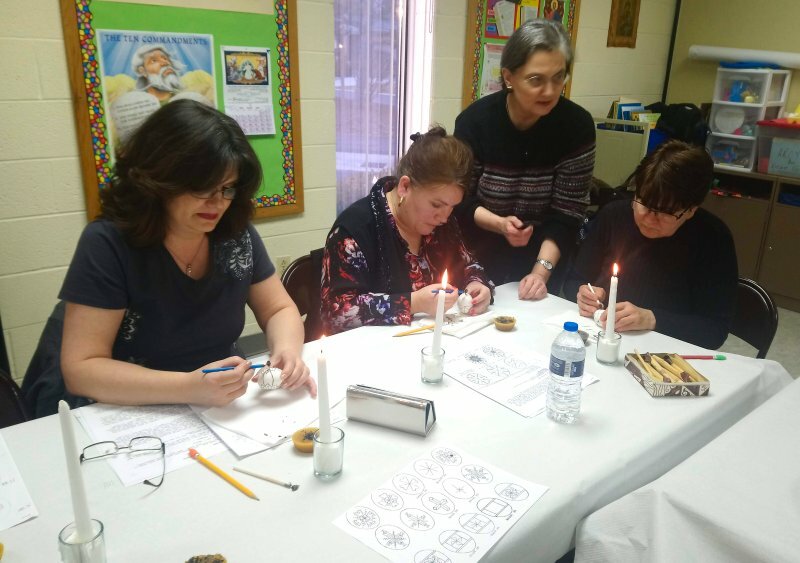 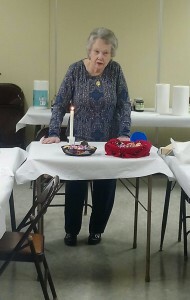 We were again grateful to have the opportunity to practice this skill under the direction of Mrs. Mary Patyna. Having been taught by her mother as a child, Mrs. Patyna continues to bless us by sharing her knowledge with a new generation of Romanian-Americans. 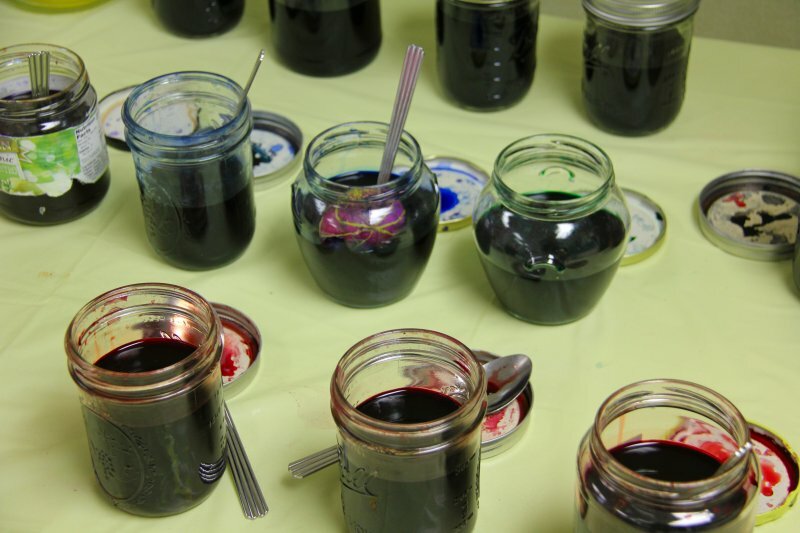 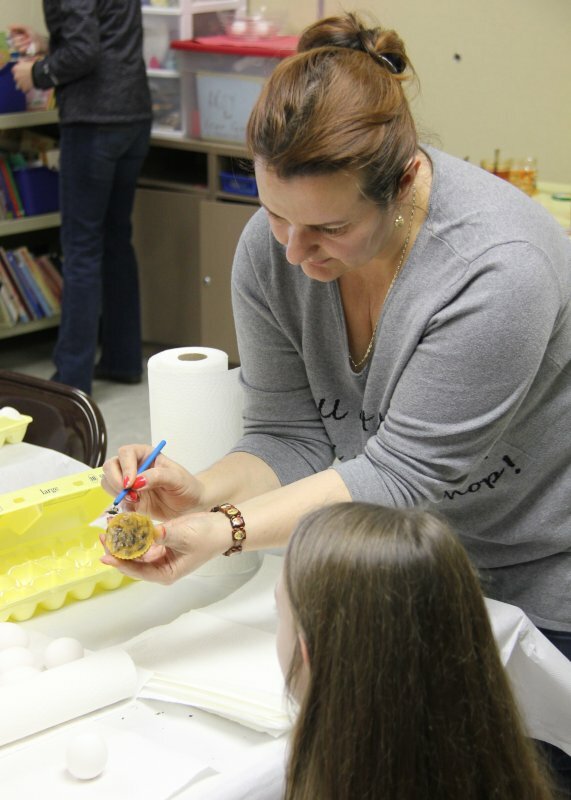 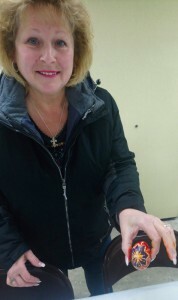 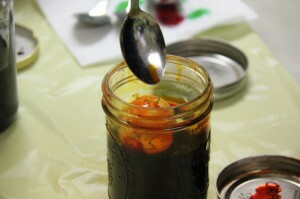 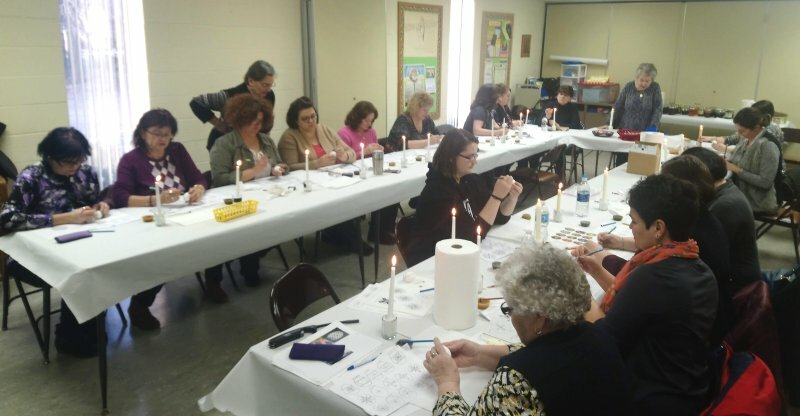 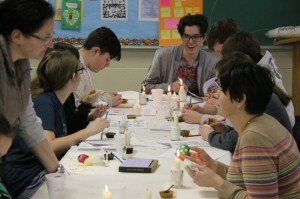 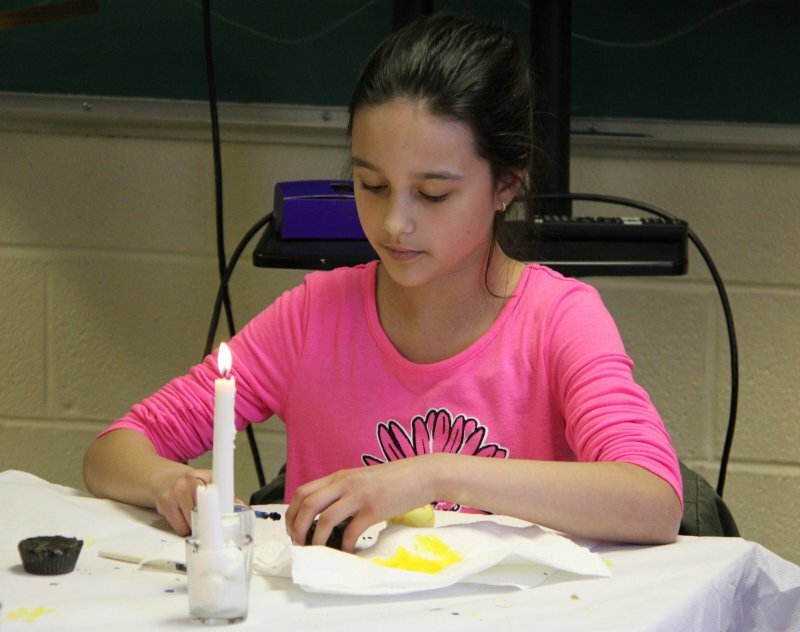 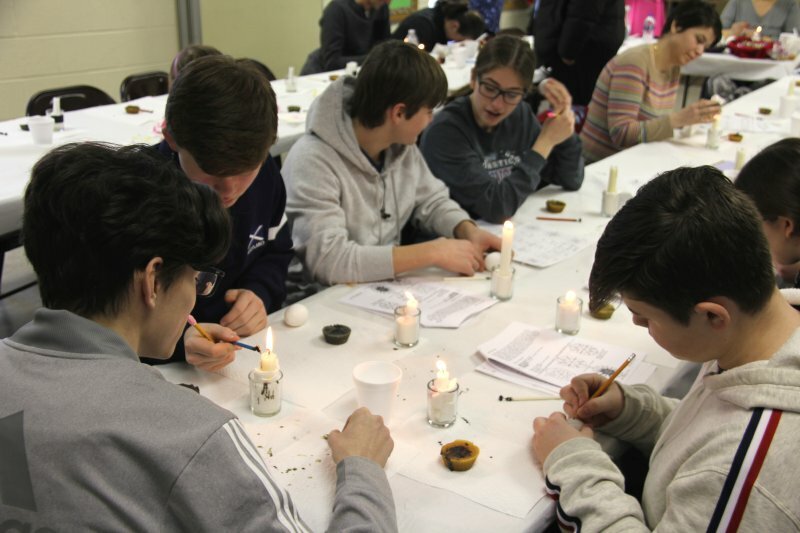 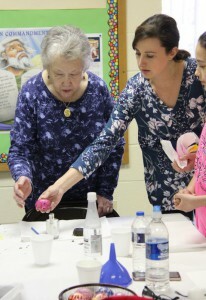 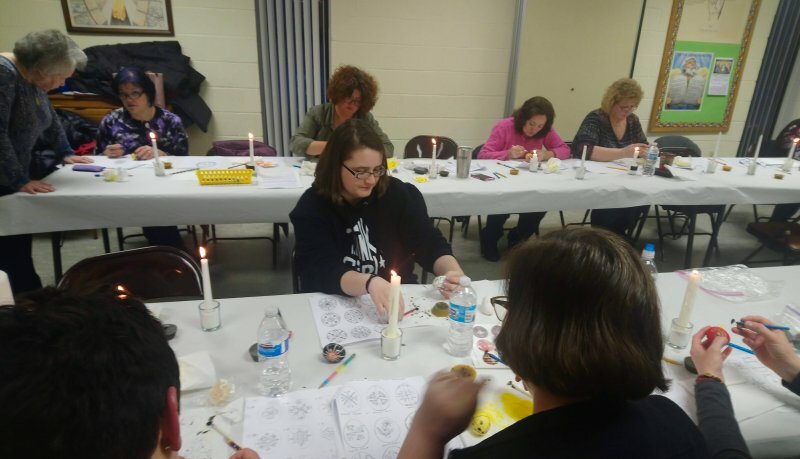 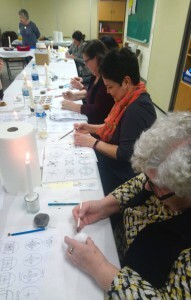 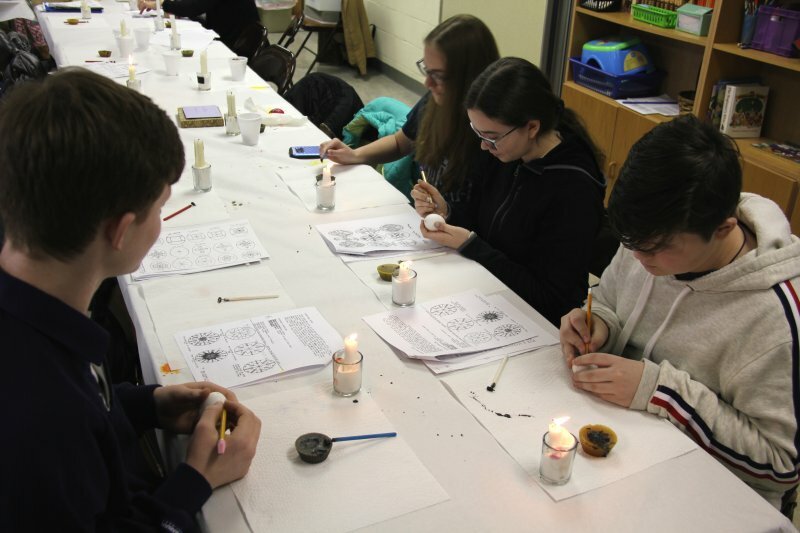 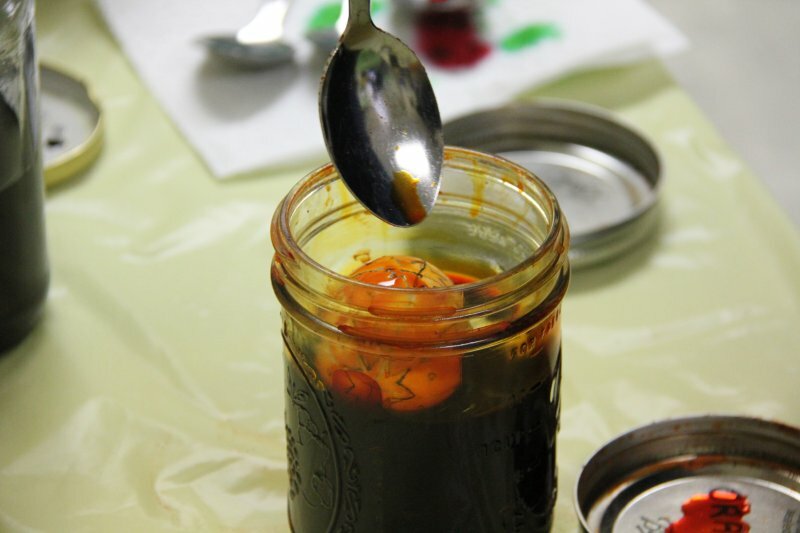 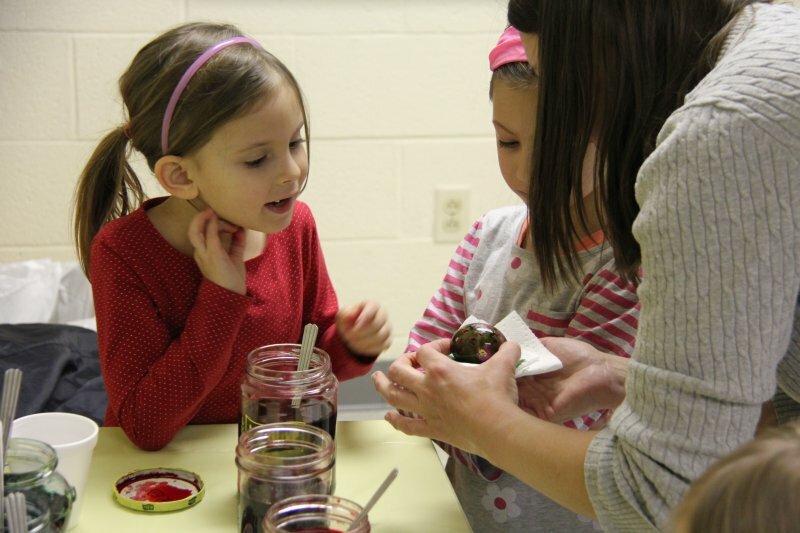 In the course of a few hours, the participants learned about the designs traditionally enscribed on the eggs, learned about the tools used to accomplish the task, and then got some hands-on experience tracing and dying their own eggs. 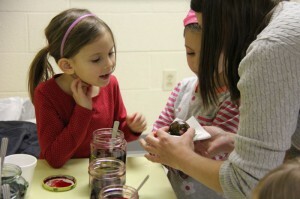 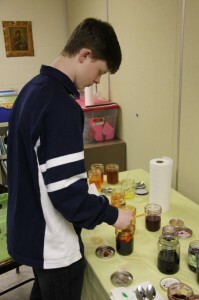 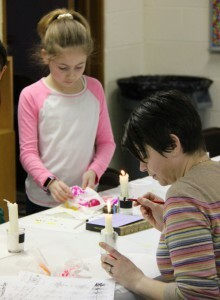 The activity was a lot of fun and it was evident that everyone took pride in their work. 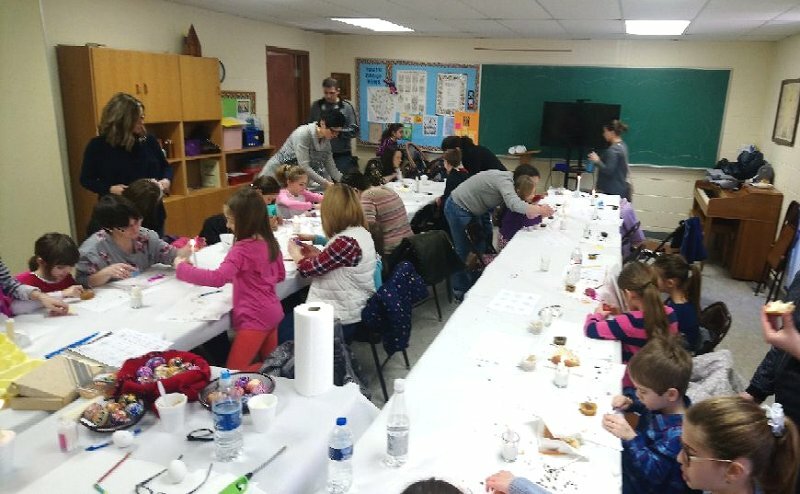 Thank you to all who participated, to the parents who assisted, and especially to Mrs. Mary Patyna and her assistant instructors, Ms. Mary K. Stanesa & Mrs. Flory Hociota, for their continued kindness and patience in sharing their talents with us!